Is one’s talent for the performing arts acquired through genetics? We’re not sure, but these talented thespian siblings certainly make it seem like it’s something that runs in the family! 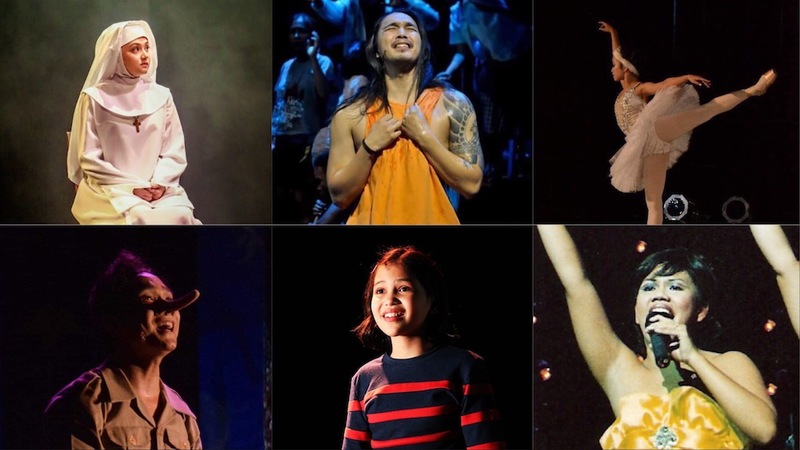 We’ve rounded up 7 pairs of siblings– Rachel and Rebecca Coates, Benj and Nicco Manalo, Bituin Escalante and Kalila Aguilos, Pia and Pearl Dames, Jill and Justine Peña, Mikkie and Katie Bradshaw, and Rayne and Tory Cortez— who are currently doing professional theater and dance in our local scene. We asked each of them how they got into the industry and what their favorite performance by their sibling is so far. How did you and your sister get into theater? RACHEL: Becca and I were homeschooled for all of grade school, and a lot of our curriculum was reading and story based; we learned best by playing pretend! Luckily, my one classmate was a future Gawad Buhay awardee! She’d play all the girl roles and I’d play all the boy roles. We came up with the craziest stories together. Still do. BECCA: We always did everything together, so we took lots of theater classes together, went to all the auditions together, and got rejected together, too. As we got older we of course found different things to do, so to be together with her in anything is always fun, familiar and very Sideshow. Of all the roles your sister has portrayed, which one is your favorite? RACHEL: I liked Becca in Agnes of God because I want to see her typecast as a nun. Just kidding! I thought that her performance as Agnes really stretched the acting muscles I always knew she had. It was great seeing everyone realize that she had it in her. Her performance as “head singing sunflower” when she was 6 in theatre workshop is a close second. 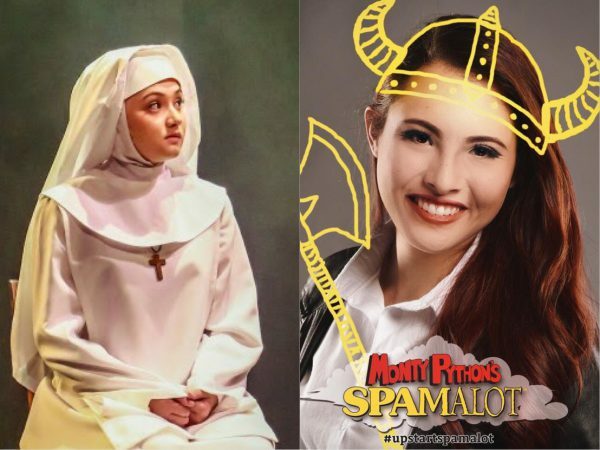 BECCA: My favorite performance of my sister was when she was in the cast of Spamalot. My sister and I have always loved Monty Python and Spamalot since we were kids, so seeing her up there enjoying the show really was the best for me. How did you and your brother get into theater? NICCO: Started performing in high school. Never stopped. Studied technical theatre in Benilde because I wanted to make sure I would be part of it in case I didn’t know how to act. Benj got in it when he joined Rak of Aegis. Dancing was our first love. BENJ: I was more into dancing back then. There was this audition, and our friend Jerald Napoles and Carlon Joson referred me to audition for the role of Tolits for Rak of Aegis season 3. So basically I asked my brother if it’s possible for me to do it. He said, “Just go for it. It’s good learning.” So yeah, that’s how I got into theater. Of all the roles your brother has portrayed, which one is your favorite? NICCO: When I first saw him in Rak. It took a while for him to find theatre but he was always a performer and an entertainer, even as a young kid. That’s when I said, “Ok game. Seryoso siya.” That’s when he first asked me for advice. BENJ: Favorite role is when he did Cyrano from Mula sa Buwan. I loved how he actually made the character real. It was amazing to be honest. Like I’ve seen most of his work, but for me, Cyrano is by far the best one for me. BITUIN: All 4 years of high school in St. Bridget’s, I was in the drama club. But I got my foot in the door because ninang ko si Celeste [Legaspi] sa binyag at natunugan ko na may callbacks sila for their season [of Musical Theater Philippines]. So I was dared to go onstage to audition and got in and never left. KALILA: I was always shy so i could only join theater by becoming part of the production side. I was hired as production manager of Musical Theater Philippines’ “Saranggola ni Pepe” in 1997. I decided to get training in Tanghalang Pilipino (TP) as a stage manager which is where Nonon Padilla saw me and cast me in Noli Me Tangere. I was part of almost all the TP plays that season and many other plays in different companies since then. 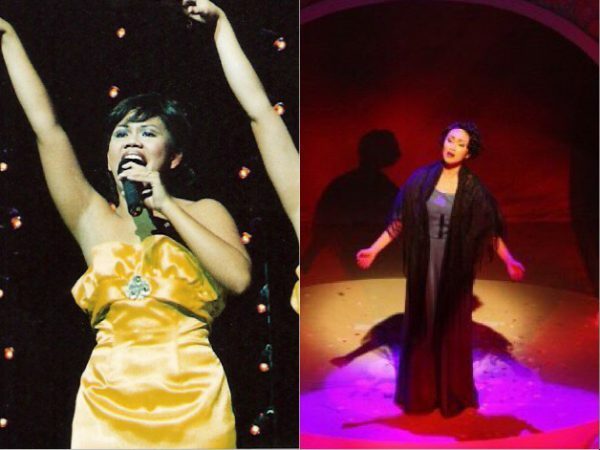 BITUIN: The title role in DUP’s “Atang.” I was bursting with pride and joy at how beautifully she inhabited the part. And, I must mention her portrayal of one of 2 characters in Daniel Darwin’s Green Glass Door. We played opposite each other and every rehearsal, every performance was so… electric. I love sharing the stage with her. Another “sino yun moment” was “Nabasa mo na ba ang Noli” [from “Sino Ka Ba Jose Rizal?”] of then, Musical Theater Philippines, which was Bito’s first theater prod. She was bald and skinny and dark and weird so she was chorus. But they couldn’t ignore her chops so they gave her the song “Nabasa Mo na Ba ang Noli.” Ayan nanaman iyung audience -sino yun?? Ang galing niya!—-I was so proud and kinda gave a middle finger to all of the people who said she would never make it in showbiz because she didn’t fit the cute, tisay mode. Bwisit talaga ako diyan. How did you and your sister get into ballet? PIA: It was me who first fell in love with ballet. I was young and told my momthat there was a free ballet program going on in my Elementary school which is not true. I lied so they can buy me a pair of ballet shoes. Everyday, I’d dance at home while my twin sister watched me. Then 2 years after, a real ballet program was held in our school. I got excited and told my mom about it. She enrolled us including my twin sister. We never stopped dancing since then. PEARL: I remember my sister lying about a ballet program in our school so she could buy ballet shoes. I still didn’t have interest in ballet that time. Then, a year after, a dance program was announced in our classroom. We can either join Ballet or Hip hop. I wanted to join Hip hop but Pia didn’t want me to join because she wanted me to try ballet so we could dance together. So why not. I tried ballet. I actually thought I wouldn’t enjoy ballet but I did! Still cannot believe ballet is our life now. Since then, dancing has really been a big part of our lives. PIA: Favorite performance of my twin sister Pearl is Odette from Swan Lake. She danced this ballet when we were in Makiling (Philippine High School for the Arts), while I did the Black swan. It was a very special ballet for both of us. Odette is very soft, fragile, and emotional which suites Pearl’s personality. It made her dancing look so natural, and I loved it. 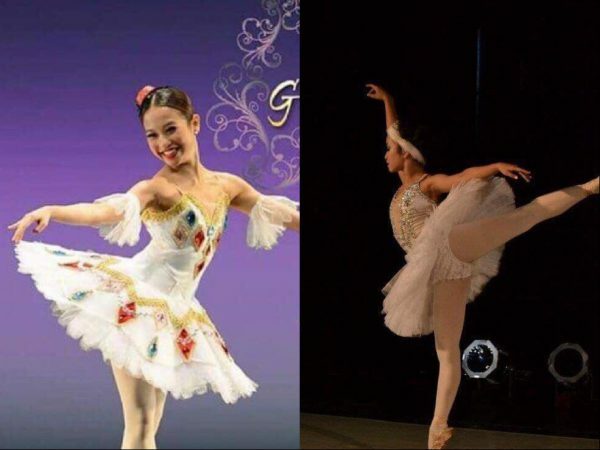 PEARL: My favorite performance of my sister would be her competition piece in the Asian Grand Prix and in the World Ballet Competition, which is “Harlequinade.” I love watching her dance this variation because the role is very playful, which she does very, very well. She is a strong and technical dancer and I love how she used her artistry with her strong technique in this variation. It is just so amazing and breathtaking!! The variation itself is very, very hard but she made it look easy! So effortless! JILL: Justine and I were in the same choir in high school and to me it was the early onset of my interest in the craft. So with blind faith, and without any prior experience whatsoever, I brashly concluded that theatre was something I wanted to do for a very long time. 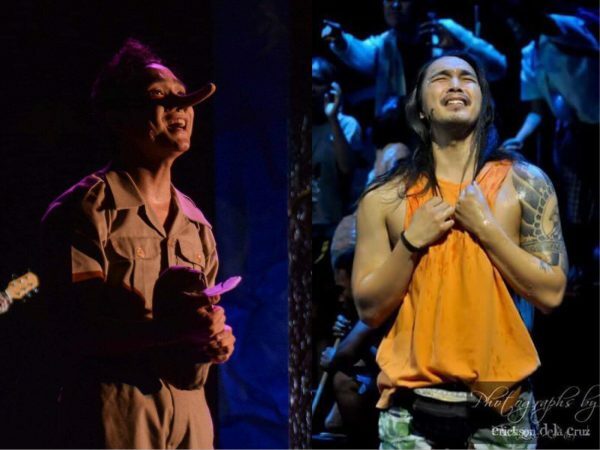 I took up Theatre Arts in college and had my heart set on Ateneo Blue Repertory since day 1. I had already graduated when Justine joined blueREP but by then the org was no longer new to her; she’d see me coming home late from rehearsals, borrowing my mom’s clothes for costumes or sneaking out fixtures to put in our sets. She’s always been inclined to the arts too so it was a natural progression for her to pursue it. JUSTINE: I suppose growing up being exposed to a lot of animated films, movie-musicals, and show tunes sort of peeked our individual interest in the field. We never actually planned it or even talked about it though. I never even knew that we were both interested in that medium. It was only when my sister took Theater Arts as her college major, and joined Ateneo Blue Repertory when I realized that we had similar plans. For four years, my family and I watched her shows, and every time I would sit amongst the audience and fall in love with the world being put up in front of me, I knew that performing was something I wanted to experience for myself. I joined the same theater org on my second year in college, while Jillian went off to pursue her professional career. It wasn’t after almost 2 years of working in an agency though that I realized that the stage was still calling out to me. I eventually took the leap into professional theater, joined the ranks of the working actor, and I haven’t looked back since. JILL: Lily St Regis in Annie — she was hilarious, definitely, but to me that was the everyday bonkers Justine I grew up with and have always known her to be, just shipped to the 1930s. Pretty cool that we got to share the same dressing room for the first time as well. 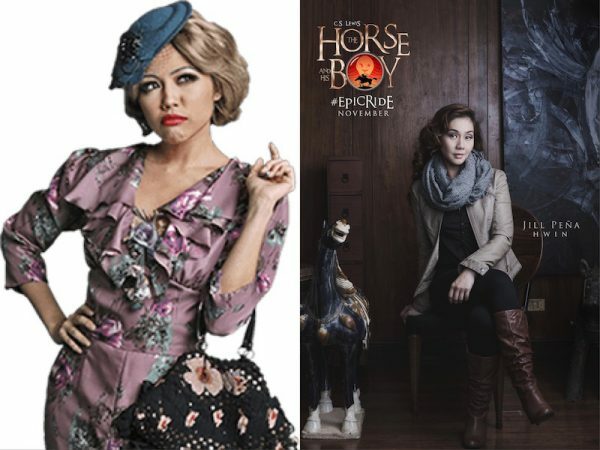 JUSTINE: In her professional career, my sister’s portrayal of Hwin from The Horse and His Boy was my favorite. I mean it’s one thing to play a human being. It’s a whole other mastery to believably physicalize being a horse, properly maneuver a huge puppet while effectively telling a story as an animal with a full range of human emotions. I mean that sentence alone was a mouthful. What more the actual task of executing it well? I was fortunate enough to be part of that production as well, so I really did see first hand, the amount of work she put into building that character. Even more impressive was the fact that she was also juggling another production, and the peak season of the company she owns. Honestly, with all of that, I have no idea how she didn’t just collapse at one point. Apart from her professional work, I would say a couple of shows in my sister’s college days left a mark on me. My sister was part of Mr. 80%, and Lam-ang, two very different plays staged by different theater orgs at the Ateneo. While it did show that Jillian could execute diverse roles, those stories, by transporting me into their worlds made me decide that I wanted to try out acting in college. Little did I know that that decision would lead to everything else on my plate more than a decade later. MIKKIE: After taking just one workshop when I was thirteen years old, I somehow decided that this was my destiny. But it wasn’t until I was 21 years old that I performed in a professional production–the Sound of Music. I started out as “the Postulant”, but ended up being Liesl in the show’s extended run. During this extension I found out that there was an opening for the role of Gretl. Katie was 6 at the time and I basically forced her to audition. And it’s a good thing I did because she got the role. KATIE: So I guess even if we were born fifteen years apart, we started at about the same time. We’re contemporaries. 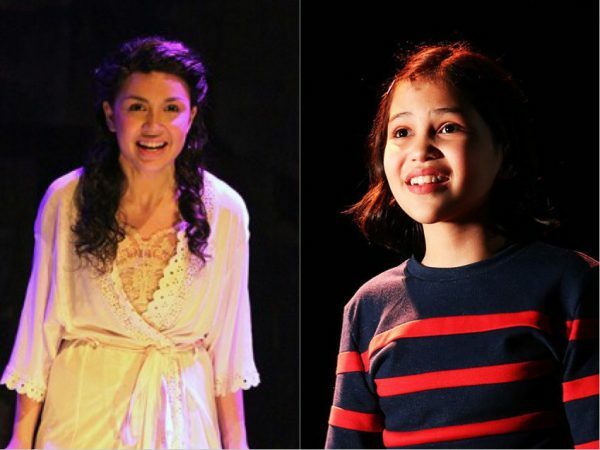 MIKKIE: Watching Katie in rehearsals for Fun Home was actually really interesting for me. She overcame a lot of anxiety to portray that role. It isn’t an easy show to do for anyone, let alone a kid. But she played Small Alison with a real understanding of the character. KATIE: My favorite performance of Mikkie was when she did Carrie. She was the lead role and she did a really good job. Also, that show was just really cool. I wish they’d do it again, but this time I want to be Carrie. RAYNE: In 2014 & 2015, we went on a trip to NYC then the UK, and I was inspired by all the shows we saw. I’ve always loved to sing, but acting and dancing didn’t interest me as much until I saw it all come together in different musicals live! I told my Mom I wanted to be on stage, so I joined theater workshops during the summers of 2015 and 2016, and began to audition and get cast in shows. Being in theater, I get to share stories and make people smile, so all the hard work and effort is worth it. It’s made me more confident and now I keep challenging myself to grow as a singer, actor, and dancer. TORY: I’ve always loved singing and making up songs, while doing school work or playing a video game. For two summers (2015 and 2016), I tagged along with my twin sister Rayne to join theater workshops. After that, we were invited to audition for REP’s Hansel and Gretel (2016). Then we joined other auditions and got cast in more productions. I never would’ve thought that I’d continue it this far, but it actually turned out to be one of the best decisions I’ve ever made. Ever since 9 Works’ Newsies (2017), I’ve also grown a love for dance. Now, I practice dance 3-4x a week, and really enjoy how I get to express myself through movement. 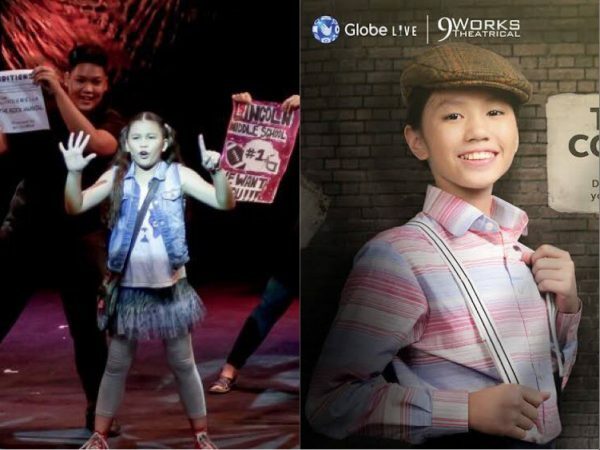 RAYNE: My favorite performance by my twin brother Tory is when he played Les Jacobs in 9 Works’ “Disney’s Newsies” (2017). 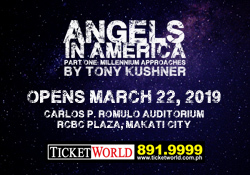 With its many challenging dances, it was so different from our other theater shows. It was a new experience for him and sparked his love for dance – so now he can’t stop dancing. I also found it cool because Tory’s character was the only kid in the entire production, and his choices of how to portray Les stood out a lot! TORY: My favorite performance by my twin sister Rayne is when she played Lacey in REP & Upstart’s musical version of the book “The Glitter Trap” (2017). Not only did she play the quirky lead, but she also originated the role, which was a cool challenge for her. Since this was the first musical production we were not in together, I had a chance to just watch. I enjoyed the whole show, and Rayne was amazing at making her fun character come to life! Next Tickets for "Cats" International Tour Now on Sale!